This colorful set of cloth ribbon markers include 8 ribbons attached to a single holder that easily slips into the spine of your favorite book. 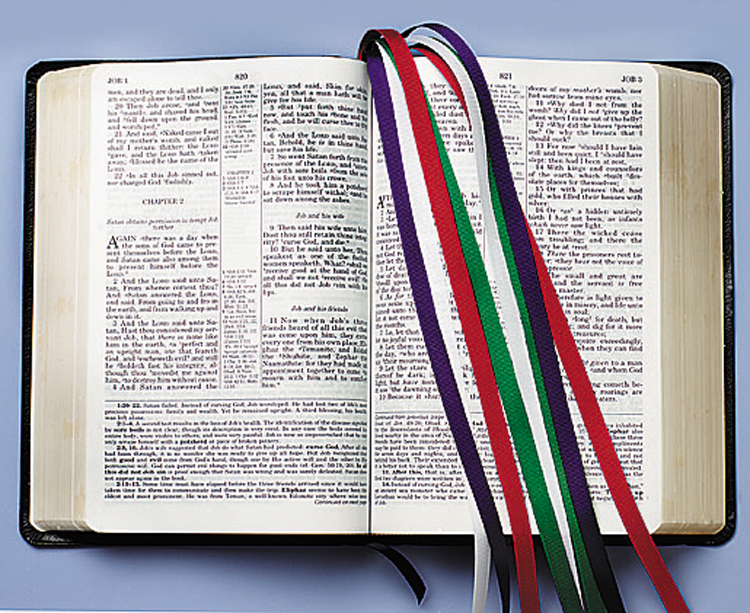 Typically used with study Bibles, Prayer Books or Missals it is a handy marker for scripture, prayer or song. Valued price for gift giving or Sunday school rewards. Sold in quantities of 12 per package.